I had mentioned in an early blog that when I find a watch I try and find an accompanying period correct presentation box. Sometimes a watch I find comes with the original box while other watches have me searching for a period correct box separately. 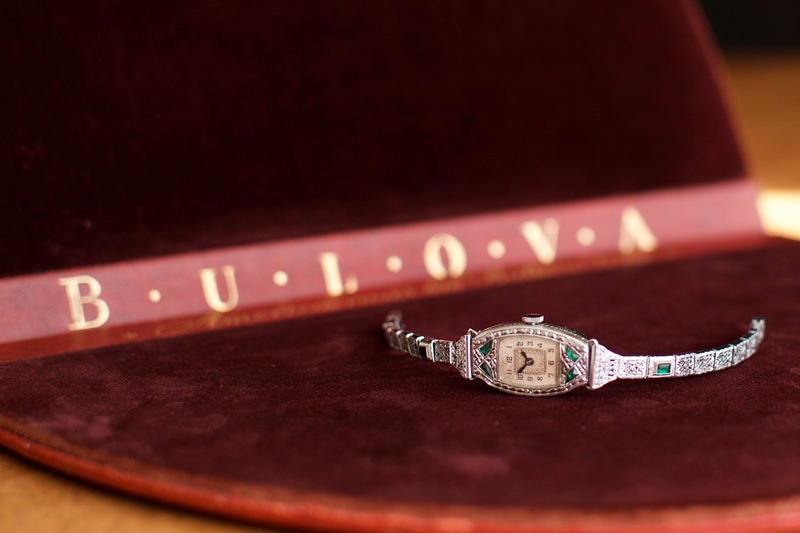 Two of my recent watch finds I feature in this blog came with their original boxes, the other watch box featured I found recently to house a watch I received several years ago. 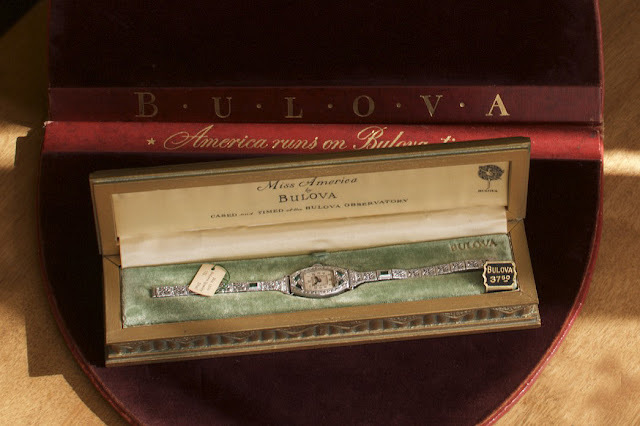 You might remember my blog about the 1928 Bulova Miss America that I had to find a separte box for. Well, I found another Miss America, albeit a different year and design - the 1932 Miss America above. This watch however came with its original box, hang and price tags and original filagree watch bracelet. It came from a family in Ontario that had recently found the watch and box sitting in the back of a dresser drawer. It is in amazing condition for being 85 years old. 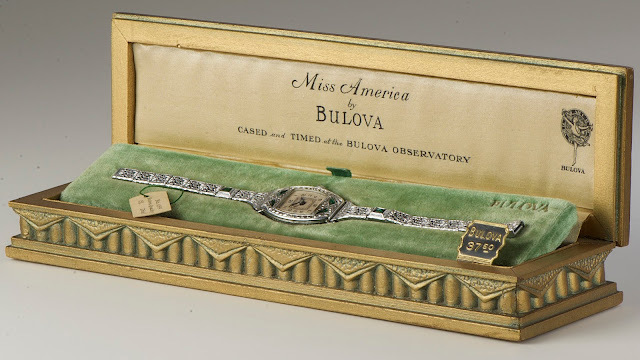 1932 Bulova "Miss America" tucked nicely in its box. 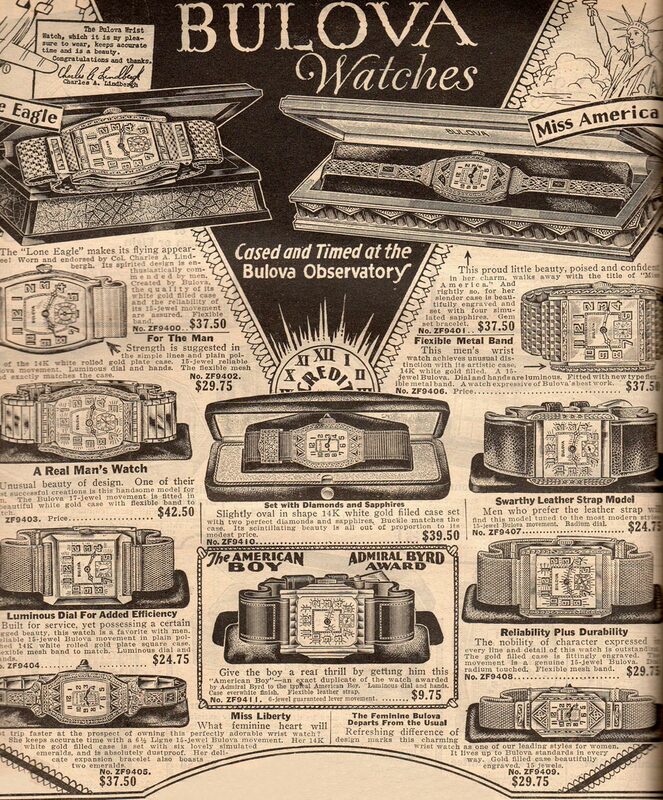 1930 Ad for Bulova Miss America (top right) courtesy of Mybulova.com. This Miss America variant appears to have been produced from 1930 to 1932 with slight variations. Considering some of the presentation boxes I have are 70-90 years old, its a wonder that the boxes survive. I find the pre-1930s boxes are hard to come by as they tend not to hold up very well because of the material used to make them. 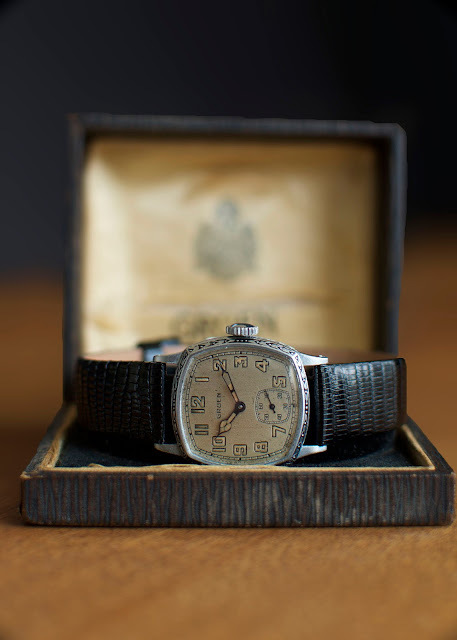 The Gruen box that came with my 1929 watch above isn't in the best shape, but then again, it's almost 90 years old! This particular box is made of paper and cardboard lined with printed silk sitting on velvet covered carboard; not great materials to survive 90 years. 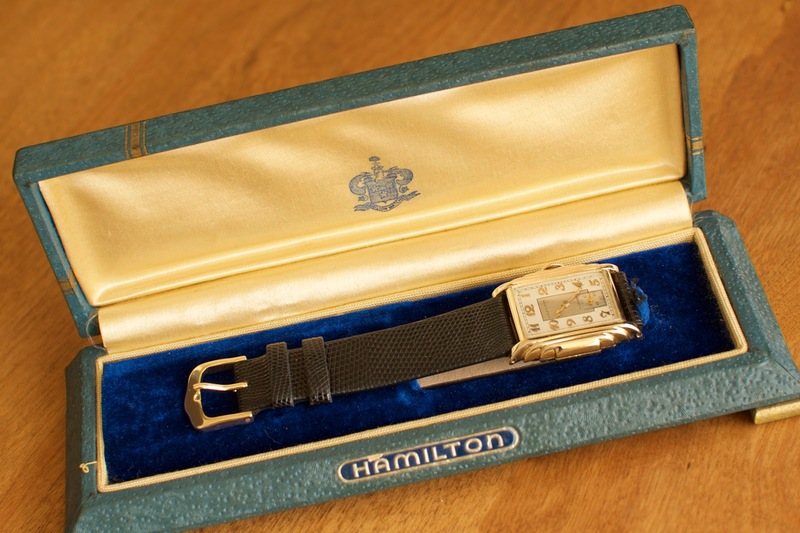 The following Hamilton box circa 1930s is a little more robust than the Gruen and was obviously well cared for. It houses my 1933 Hamilton Putnam. Took me a while and a number of bidding wars on eBay to find this one. It's in great shape with only a small nick on the front near the "H". You can read about the watch in my previous blog called "This is where it begins - It's About Time." There are still a number of presentation boxes that elude me but then again the hunt is half the fun with my watch obsession so I'll keep on looking. For now, a number of my watches (and my wifes) are tucked nicely in their place and others, they'll just have to wait.